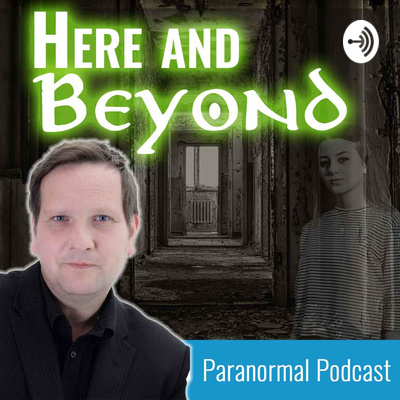 International Psychic Medium, Mark Howard, introduces his show, Here and Beyond, discussing the Paranormal and the Psychic world. Mark is also a Psychic Investigator, Psychic Paranormal Investigator, Author and radio show presenter. The Beatles - Is Paul McCartney Dead? The Beatles, one of the most successful bands in music history may be hiding one of the biggest theories in the world. Did their bassist and songwriter, Paul McCartney in fact die in a car crash back in 1966? Are there clues hidden in the bands lyrics and even album covers? All the facts are presented in this podcast, Here and Beyond the Conspiracy Files. In the 1970's a terror was stalking the streets of the London suburb of Highgate - a vampire had been seen in it's cemetery and cultivated in to vampire hunts, rituals and satanic exploits - the question is, was there really a vampire and if so, who was it? Grey Wolf - Did Hitler Escape to Argentina before the end of the war? Titanic - The Ship that Never Sunk! Was the Titanic swapped with its sister ship the Olympic as part of an insurance scam? In this episode I give you the evidence for such a swap that would have killed 1500 passengers and crew on the fateful night. Watergate, the biggest scandal in U.S. political history. Only the most basic facts are undisputed, whilst much else is Hollywood myth-making. What was the real reason behind the Watergate scandal and was it designed to downfall a president? Could the famous prison of Alcatraz, off of San Francisco, be haunted? Ghost hunters have discovered certain that parts of the island and areas of the prison that evoke a certain... strangeness. A look into the prison's brutal history and some of its infamous criminals may shed light on why some believe the halls are still inhabited by the ghosts of the prisoners who died there. Introduction in to one of the rare mediumship skills and one for the most skilled medium, Leslie Flint. In this episode I introduce the what direct voice mediumship is and play two samples of Leslie bringing through Amy Johnson and Winston Churchill.